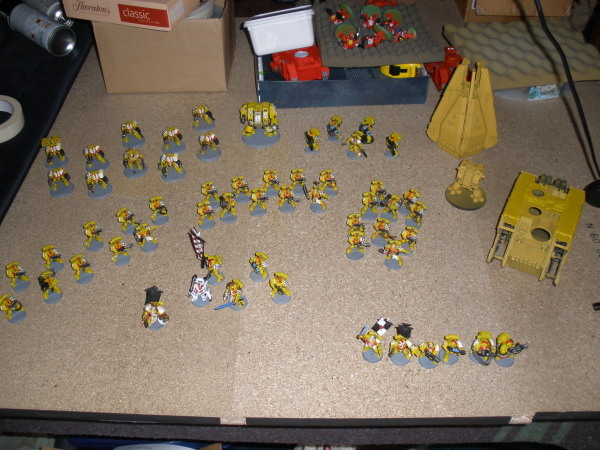 Some of you may remember the last lot, completed in the middle of moving house and settling in to a new job, consisting of 2 AoBR Tactical Squads and a 5-man Terminator Squad. 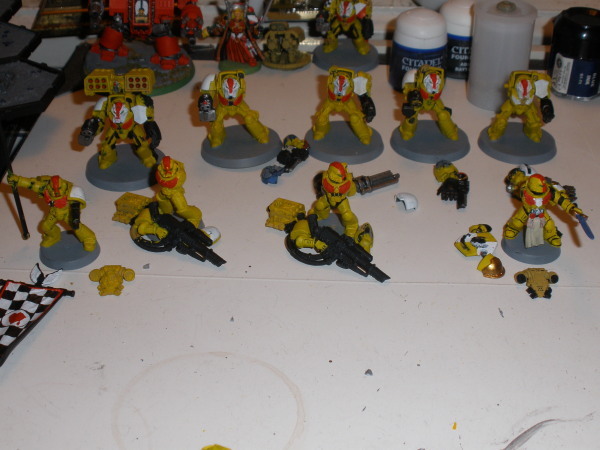 Some have been undercoated, and I will admit the Company Champion has his first layer of yellow on the armour, but I figure he's not too far along when added to the others. Onwards, onwards to victory or ignomy! Edited by Leonaides, 03 April 2010 - 11:09 AM. 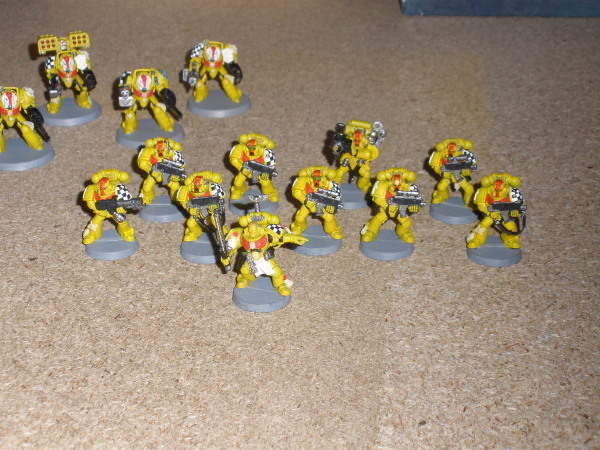 Ah, Lamenters. The base colour looks good. So, after 2 stag do's (well, 1 practice and 1 proper...) and a bit of madness I thought I'd better get n update in as its only another 2 weeks or so till the deadline. Eek!!!!!!!! 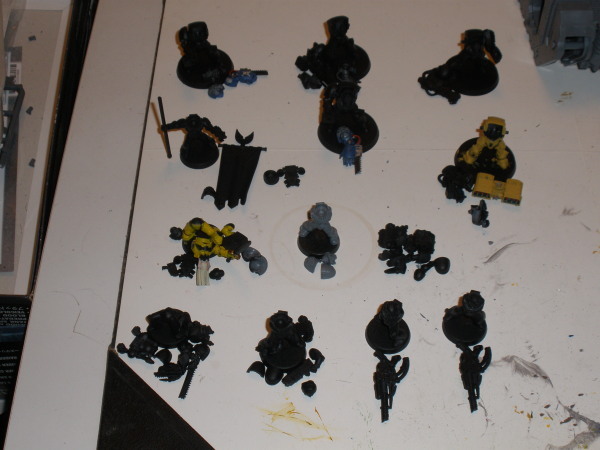 also in there are the 2 lascannon marines (need left hands doing and checked shoulders, the Company champ (needs backpack finishing) and the standard bearer (also needs backpack). These guys are the ones who are least finished. 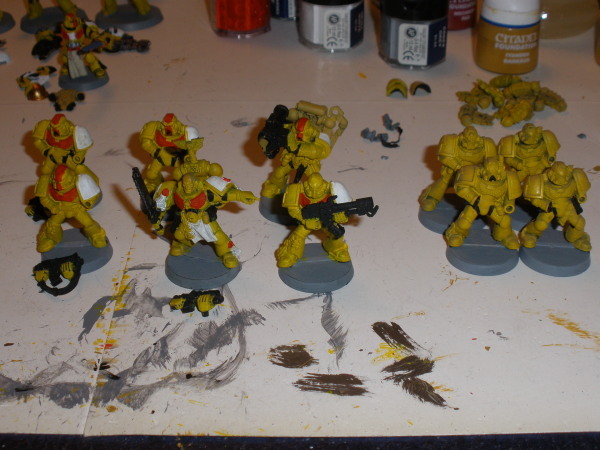 4 are still only undercoated, but they shouldnt take too long to get ready. 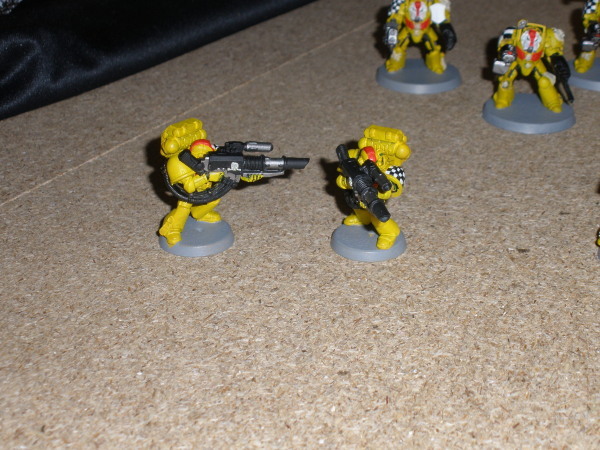 As these guys are unliley to get used in anything short of Apoc, I'm not actually too fussed about them being perfect at the moment (the other 2 squads I've already got done are more than I'll be needing for a Lamenters army for a while I think). 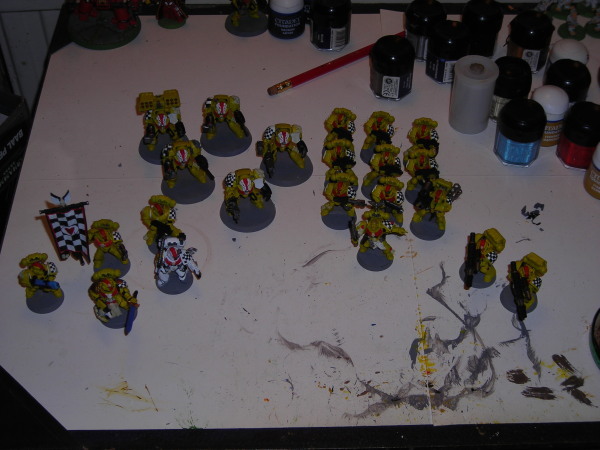 Now all i've got to do is get these guys done by the end of the month and get to the wedding on time. Just a quickie as I really need to get ready for wedding. 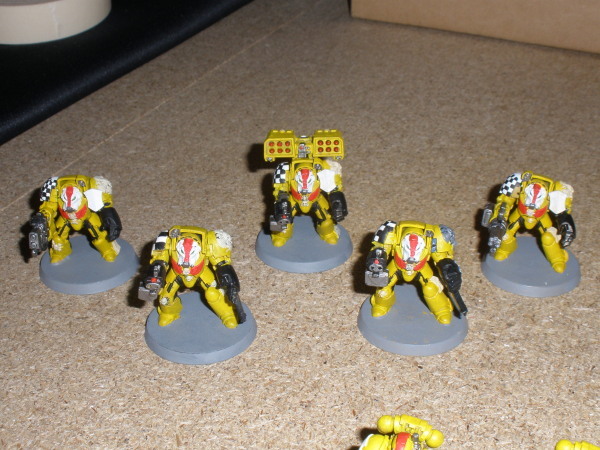 Mariens painted - all checked shoulders done, a few bolters could do with boltgun metal on them and second plasma-gunner in command squad is currently holding a bolter as a place-holder (didnt have the funds to aquire another plasmagun in time sadly). I'll try and put up some better pics when I'm back on Friday. Well, Finally managed to get photos sorted. Looking good, tell me how you did the checkers on the pads? And how large do you think these Lamentors force to be? 1850? Edited by Brother Melice, 21 April 2010 - 08:19 AM. 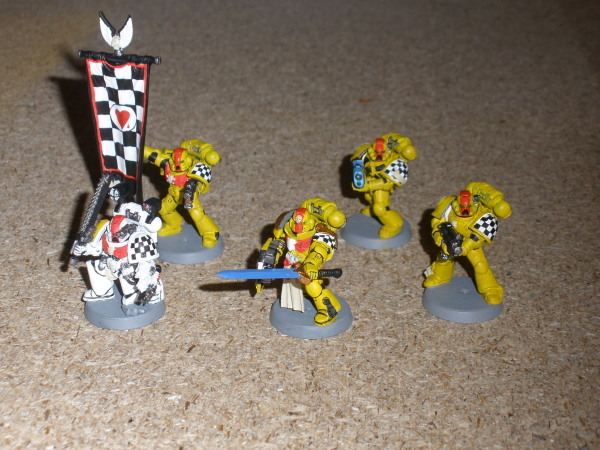 The overall yellow scheme is a bit bright for Lamentors, but still some mad painting skill there. hey bob you have a fly on your shoulder! don't move I'll shout it! Edited by tiny sam, 30 September 2010 - 01:50 AM. 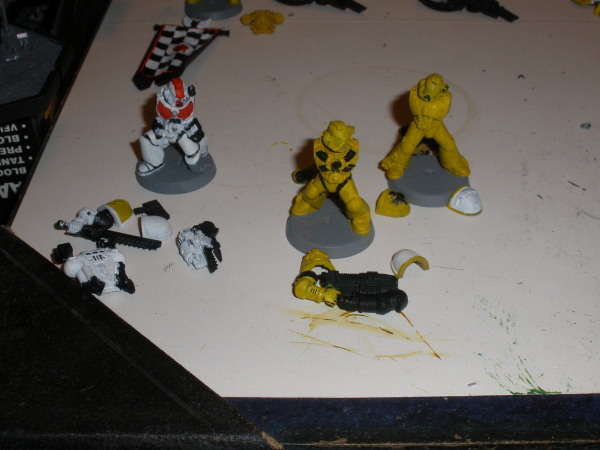 Only a son of Dorn humilates and condescends as he purges.